‘UPIC system’ (Unité Polyagogique Informatique du CEMAMu) Patrick Saint-Jean & Iannis Xenakis, France, 1977. Developed by the computer engineer Patrick Saint-Jean directed by the composer Iannis Xenakis at CEMAMu (Centre d’Etudes de Mathématique et Automatique Musicales) in Issy les Moulineaux, Paris, France, UPIC was one of a family of early computer-based graphic controllers for digital music (Other including Max Mathews’ Graphic 1 ) which themselves were based on earlier analogue graphical sound synthesis and composition instruments such as Yevgeny Murzin’s ANS Synthesiser , Daphne Oram’s ‘Oramics‘, John Hanert’s ‘Hanert Electric Orchestra’ and much earlier Russian optical synthesis techniques. 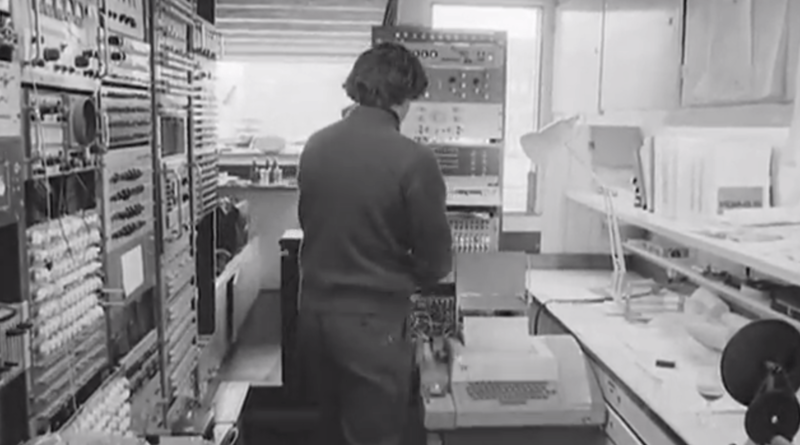 Xenakis had been working with computer systems as far back as 1961 using an IBM system to generate mathematical algorithmic scores for ‘Metastaseis’; “It was a program using probabilities, and I did some music with it. I was interested in automating what I had done before, mass events like Metastaseis. So I saw the computer as a tool, a machine that could make easier the things I was working with. And I thought perhaps I could discover new things”. In the late 1960s when computers became powerful enough to handle both graphical input and sound synthesis, Xenakis began developing his ideas for what was to become the UPIC system; an intuitive graphical instrument where the user could draw sound-waves and organise them into a musical score. 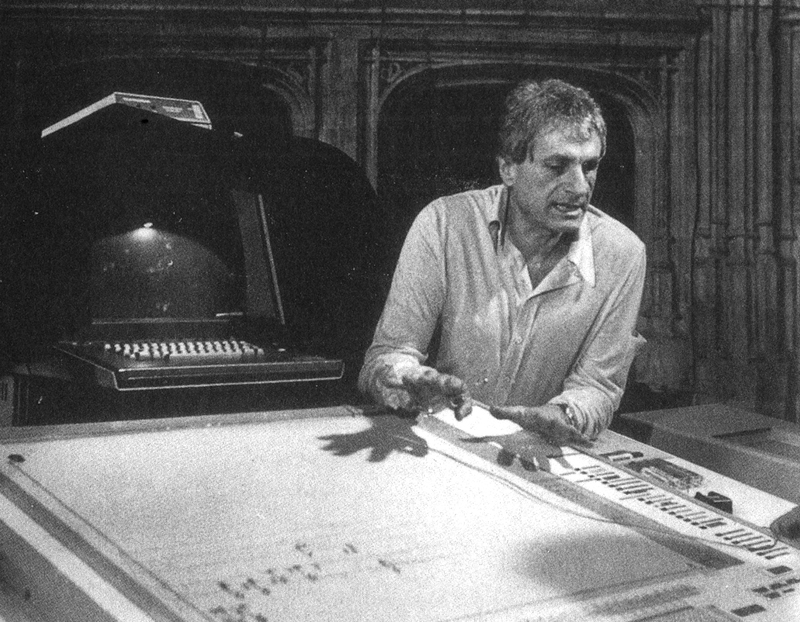 Xenakis’s dream was to create a device that could generate all aspects of an electroacoustic composition graphically and free the composer from the complexities of software as well as the restrictions of conventional music notation. UPIC consisted of an input device; a large high resolution digitising tablet the actions of which were displayed on a CRT screen, and a computer; for the analysis of the input data and generation and output of the digital sound. 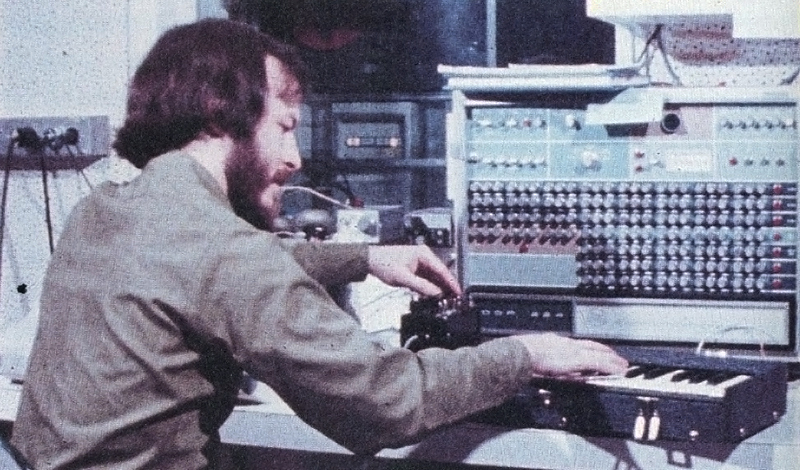 Early version of the UPIC system were not able to respond in real time to user input so the composer had to wait until the data was processed and output as audible sound – The UPIC system has subsequently been developed to deliver real-time synthesis and composition and expanded to allow for digitally sampled waveforms as source material, rather than purely synthesised tones. To create sounds, the user drew waveforms or timbres on the input tablet which could then be transposed, reversed, inverted or distorted through various algorithmic processes. These sounds could then be stored and arranged as a graphical score. The overall speed of the composition could be stretched creating compositions of up to an hour or a few seconds. 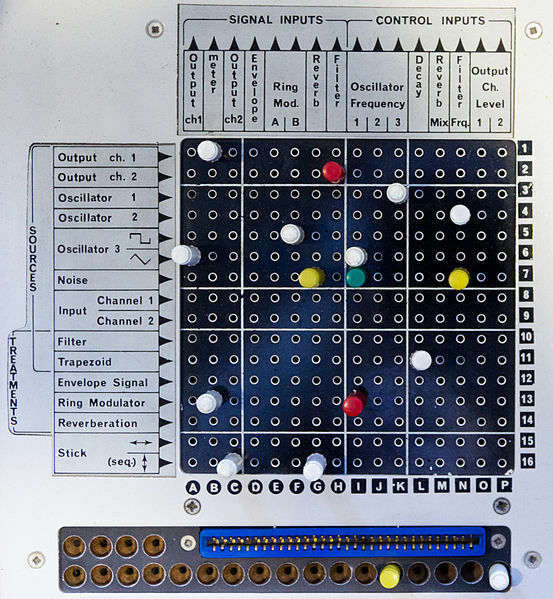 Essentially, UPIC was a digital version of Yevgeny Murzin’s ANS Synthesiser which allowed the composer to draw on a X/Y axis to generate and organise sounds. Since it’s first development UPIC has been used by a number of composers including Iannis Xenakis (Mycenae Alpha being the first work completely composed on the system), Jean-Claude Risset (on Saxatile (1992), Takehito Shimazu (Illusions in Desolate Fields (1994), Julio Estrada (on ‘eua’on’), Brigitte Robindoré, Nicola Cisternino and Gerard Pape (CCMIX’s director). More recent developments of the UPIC project include the French Ministry of Culture sponsored ‘IanniX’ ; an open-source graphic sequencer and HighC; a software graphic synthesiser and sequencer based directly on the UPIC interface. 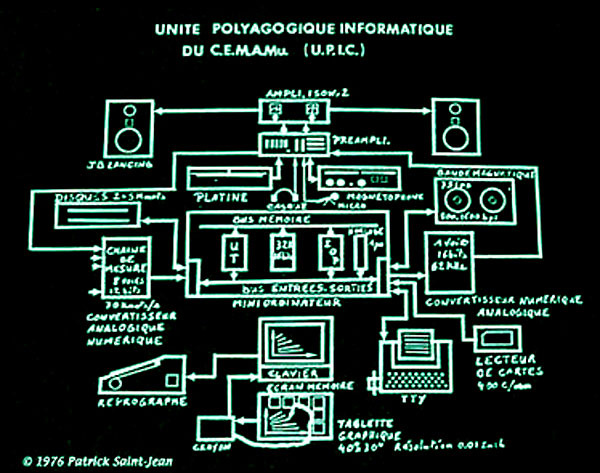 1 Comment on ‘UPIC system’ (Unité Polyagogique Informatique du CEMAMu) Patrick Saint-Jean & Iannis Xenakis, France, 1977. ‘Graphic 1’ was an hybrid hardware-software graphic input system for digital synthesis that allowed note values to be written on a CRT computer monitor – although very basic by current standards, ‘Graphic 1’ was the precursor to most computer based graphic composition environments such as Cubase, Logic Pro, Ableton Live and so-on. 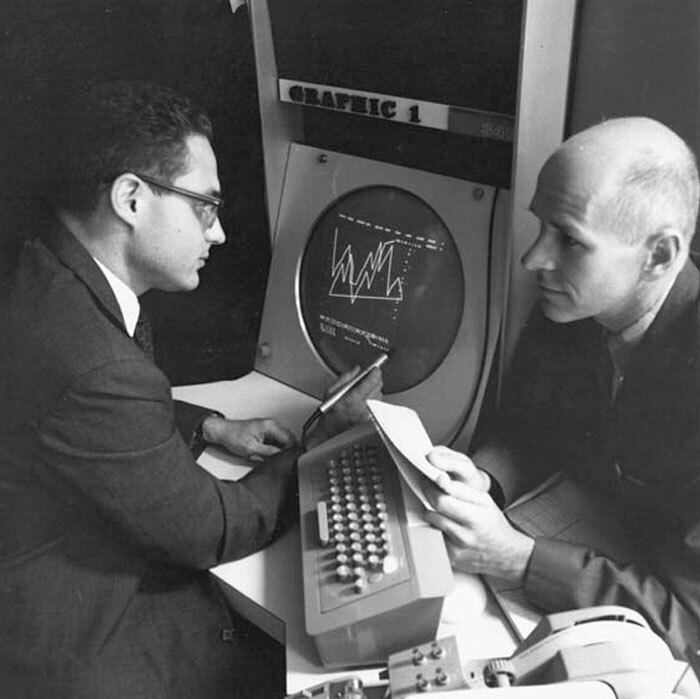 ‘Graphic 1’ was developed by William Ninke (plus Carl Christensen and Henry S. McDonald) at Bell labs for use by Max Mathews as a graphical front-end for MUSIC IV synthesis software to circumvent the lengthy and tedious process of adding numeric note values to the MUSIC program. Graphic 2/ GRIN 2 was later developed in 1976 as a commercial design package based on a faster PDP2 computer and was sold by Bell and DEC as a computer-aided design system for creating circuit designs and logic schematic drawings. 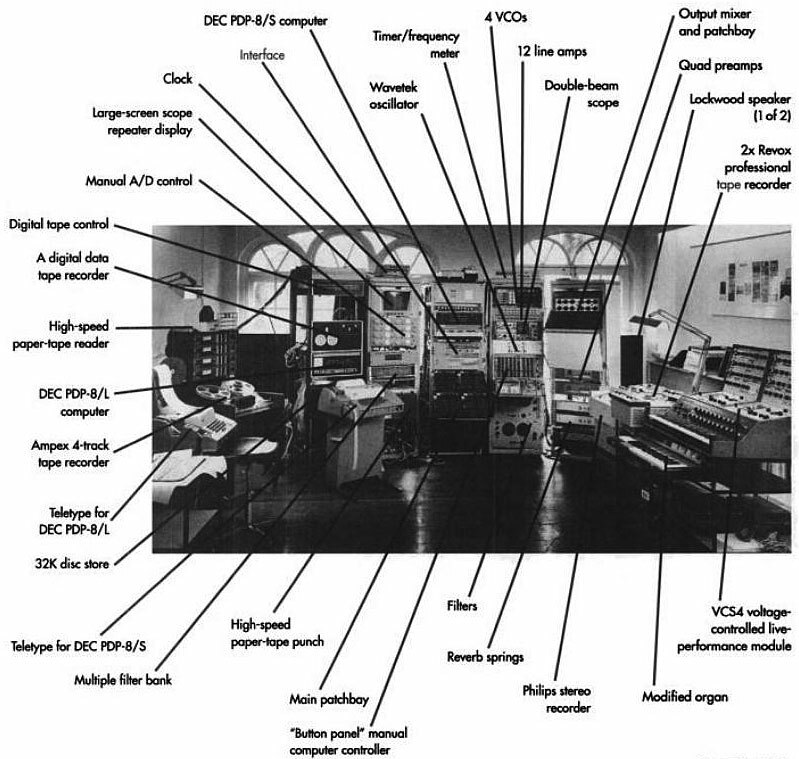 W. H. Ninke, “GRAPHIC I: A Remote Graphical Display Console System,” Proceedings of the Fall Joint Computer Conference of the American Federation of Information Processing Societies 27 (1965), Part I, pp. 839-846. EMS (Electronic Music Studios) was founded in 1965 by Peter Zinovieff, the son of an aristocrat Russian émigré with a passion for electronic music who set up the studio in the back garden of his home in Putney, London. 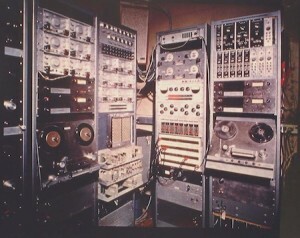 The EMS studio was the hub of activity for electronic music in the UK during the late sixties and seventies with composers such as Harrison Birtwistle, Tristram Cary, Karlheinz Stockhausen and Hans Werner Henze as well as the commercial electronic production group ‘Unit Delta Plus (Zinovieff, Delia Derbyshire and Brian Hodgson). The specific focus of EMS was to work with digital audio analysis and manipulation or as Zinovieff puts it “ To be able to analyse a sound; put it into sensible musical form on a computer; to be able to manipulate that form and re-create it in a musical way” (Zinovieff 2007). 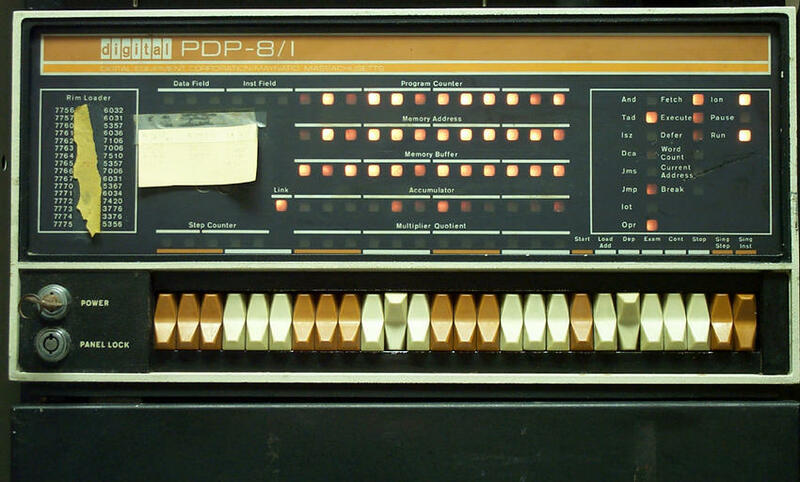 Digital signal processing was way beyond the capabilities of the DEC PDP8’s; instead they were used to control a bank of 64 oscillators (actually resonant filters that could be used as sine wave generators) modified for digital control. 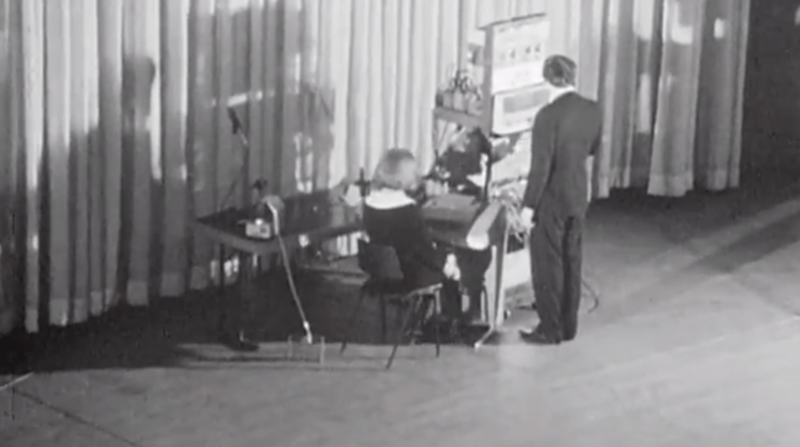 MUSYS was therefore a hybrid digital-analogue performance controller similar to Max Mathew’s GROOVE System (1970) and Gabura & Ciamaga’s PIPER system (1965). Despite this low budget approach, the success of the VCS3 was due to it’s portability and flexibility. This was the first affordable modular synthesiser that could easily be carried around and used live as a performance instrument. As well as an electronic instrument in it’s own right, the VCS3 could also be used as an effects generator and a signal processor, allowing musicians to manipulate external sounds such as guitars and voice. The VCS3 was equipped with two audio oscillators of varying frequency, producing sine and sawtooth and square waveforms which could be coloured and shaped by filters, a ring modulator, a low frequency oscillator, a noise generator, a spring reverb and envelope generators. The device could be controlled by two unique components whose design was dictated by what could be found in Lisle street junk shops; a large two dimensional joystick (from a remote control aircraft kit) and a 16 by 16 pin board allowing the user to patch all the modules without the clutter of patch cables. The iconic 16 X 16 pin-patch panel of the VCS3. The 2700 ohm resistors soldered inside the pin vary in tolerance 5% variance and later 1%; the pins have different colours: the ‘red’ pins have 1% tolerance and the ‘white’ have 5% while the ‘green’ pins are attenuating pins having a resistance of 68,000 ohms giving differing results when constructing a patch. The original design intended as a music box for electronic music composition – in the same vein as Buchla’s Electronic Music Box – was quickly modified with the addition of a standard keyboard that allowed tempered pitch control over the monophonic VCS3. This brought the VCS3 to the attention of rock and pop musicians who either couldn’t afford the huge modular Moog systems (the VCS3 appeared a year before the Minimoog was launched in the USA) or couldn’t find Moog, ARP or Buchla instruments on the British market. Despite it’s reputation as being hopeless as a melodic instrument due to it’s oscillators inherent instability the VCS3 was enthusiastically championed by many british rock acts of the era; Pink Floyd, Brian Eno (who made the external audio processing ability of the instruments part of his signature sound in the early 70’s), Robert Fripp, Hawkwind (the eponymous ‘Silver Machine‘), The Who, Gong and Jean Michel Jarre amongst many others. The VCS3 was used as the basis for a number of other instrument designs by EMS including an ultra-portable A/AK/AKS (1972) ; a VCS3 housed in a plastic carrying case with a built-in analogue sequencer, the Synthi HiFli guitar synthesiser (1973), EMS Spectron Video Synthesiser, Synthi E (a cut-down VCS3 for educational purposes) and AMS Polysynthi as well as several sequencer and vocoder units and the large modular EMS Synthi 100 (1971). 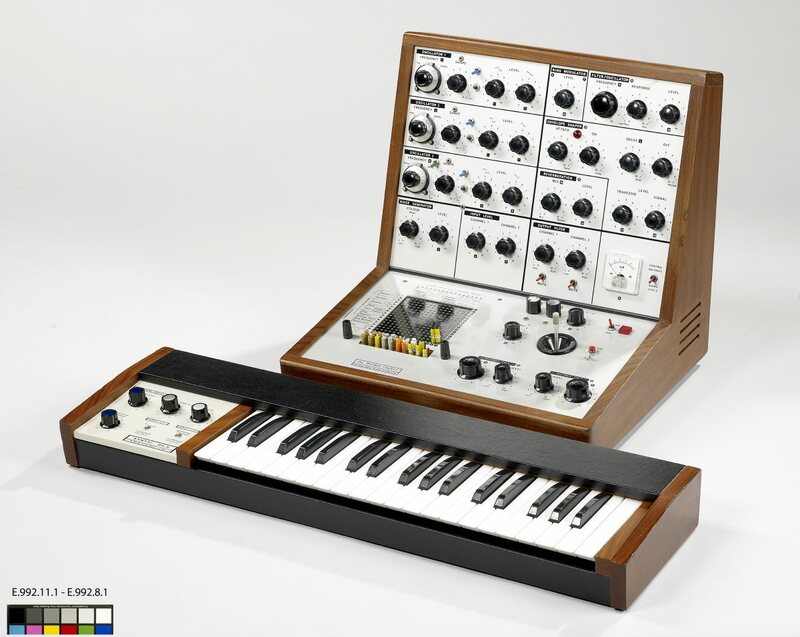 Despite initial success – at one point Robert Moog offered a struggling Moog Music to EMS for $100,000 – The EMS company succumbed to competition from large established international instrument manufacturers who brought out cheaper, more commercial, stable and simpler electronic instruments; the trend in synthesisers has moved away from modular user-patched instruments to simpler, preset performance keyboards. EMS finally closed in 1979 after a long period of decline. The EMS name was sold to Datanomics in Dorset UK and more recently a previous employee Robin Wood, acquired the rights to the EMS name in 1997 and restarted small scale production of the EMS range to the original specifications. Peter Zinovieff. Currently working as a librettist and composer of electronic music in Scotland. David Cockerell, chief designer of the VCS and Synthi range of instruments left EMS in 1972 to join Electro-Harmonix and designed most of their effect pedals. He went to IRCAM, Paris in 1976 for six months, and then returned to Electro-Harmonix . Cockerell designed the entire Akai sampler range to date, some in collaboration with Chris Huggett (the Wasp & OSCar designer) and Tim Orr. Tristram Cary , Director of EMS until 1973. Left to become Professor of Electronic Music at the Royal College of Music and later Professor of Music at the University of Adelade. Now retired. Peter Grogono Main software designer of MUSYS. 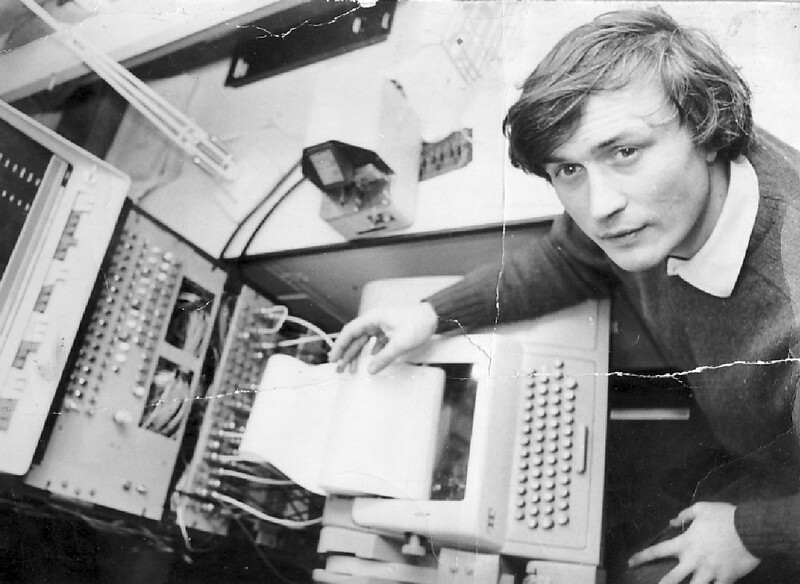 Left EMS in 1973 but continued working on the MUSYS programming language and further developed it into the Mouse language. Currently Professor at the Department of Computer Science, Concordia University, Canada. The Synthi 100 at IPEM Studios Netherlands. 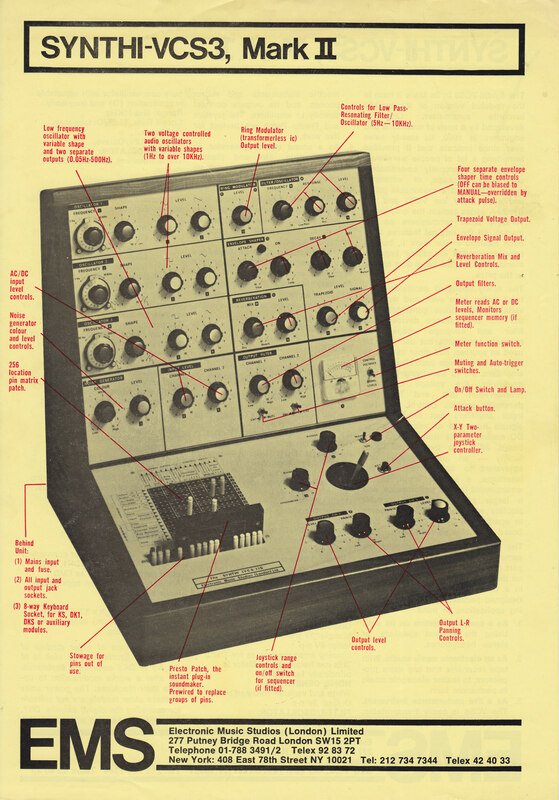 The EMS Synthi 100 was a large and very expensive (£6,500 in 1971) modular system, fewer than forty units were built and sold. 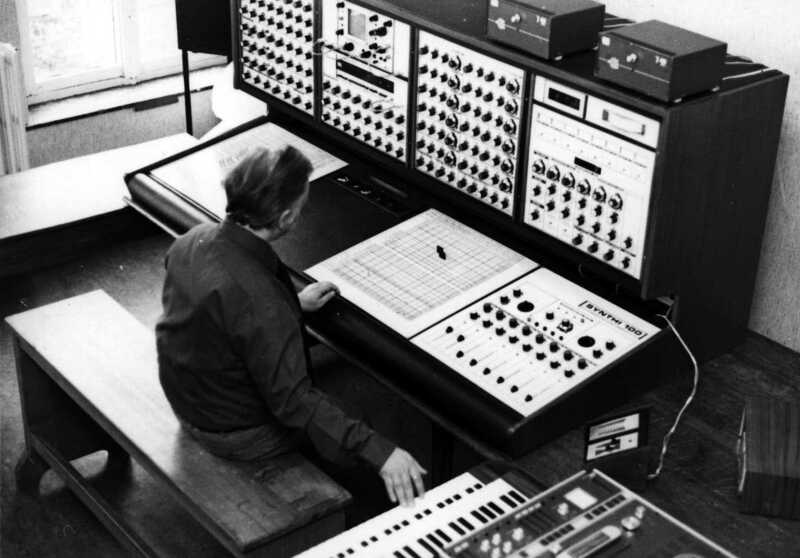 The Synthi 100 was essentially 3 VCS3’s combined; delivering a total of 12 oscillators, two duophonic keyboards giving four note ‘polyphony’ plus a 3 track 256 step digital sequencer. The instrument also came with optional modules including a Vocoder 500 and an interface to connect to a visual interface via a PDP8 computer known as the ‘Computer Synthi’. Peter Forrest, The A-Z of Analogue Synthesisers Part One A-M, Oct 1998. 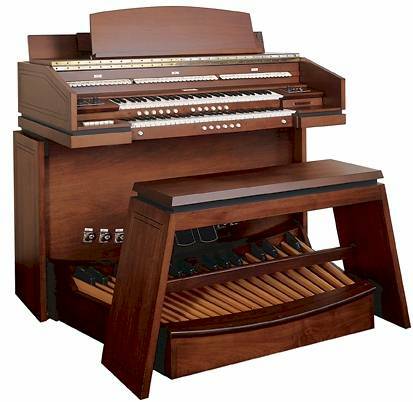 The Allen Computer Organ was one of the first commercial digital instruments, developed by Rockwell International (US military technology company) and built by the Allen Organ Co in 1971. 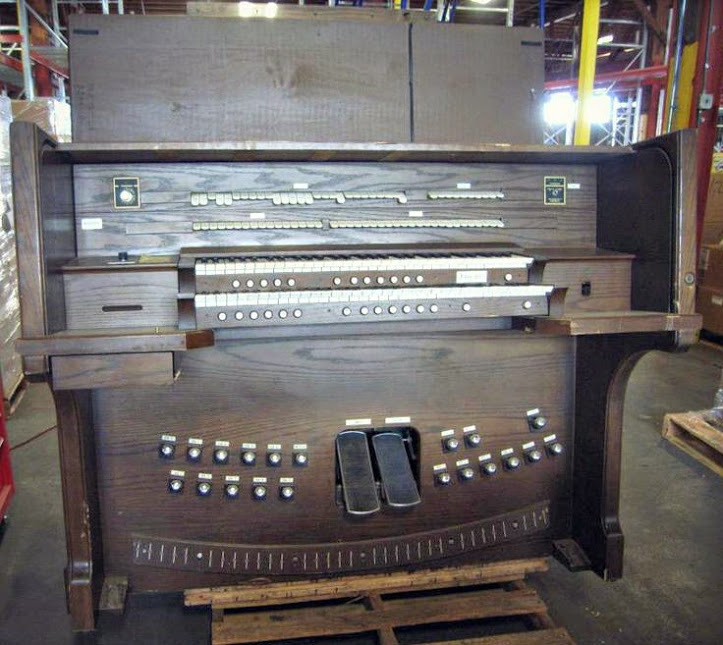 The organ used an early form of digital sampling allowing the user to chose pre-set voices or edit and store sounds using an IBM style punch-card system. 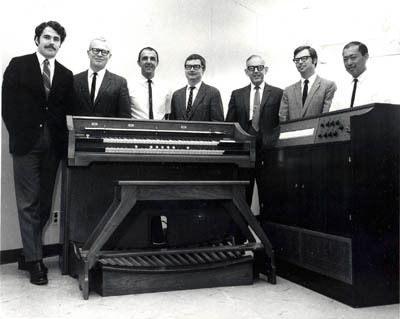 The Rockwell/Allen Computer Organ engineering team with a prototype model. The sound itself was generated from MOS (Metal Oxide Silicon) boards. Each MOS board contained 22 LSI (Large Scale Integration) circuit boards (miniaturised photo-etched silicon boards containing thousands of transistors – based on technology developed by Rockwell International for the NASA space missions of the early 70’s) giving a total of 48,000 transistors; unheard of power for the 1970’s. PIPER was one of the earliest hybrid performance system allowing composers and musicians to write and edit music in real time using computers and analogue synthesisers. The system was developed by James Gabura & Gustav Ciamaga Who also collaborated with Hugh Le Caine on the ‘Sonde’) at the University of Toronto (UTEMS) in 1965. 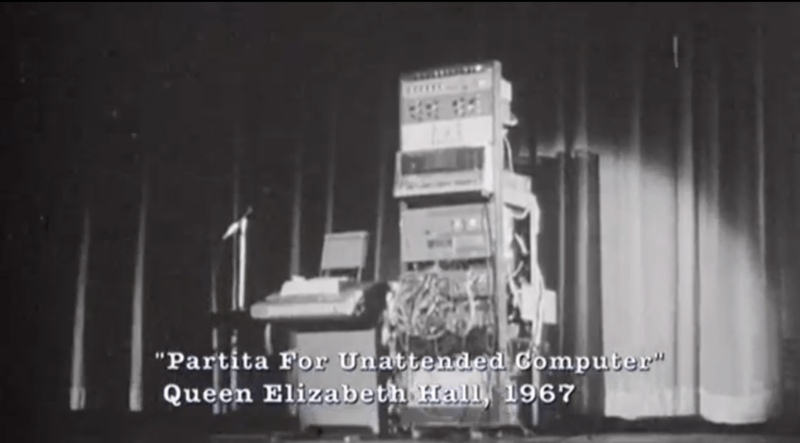 With computing technology in 1965 being to weak to synthesise and control sounds in real-time a work-around was to leave the scoring and parameter control to the computer and the audio generation to an external analogue synthesiser. The PIPER system consisted two Moog oscillators and a custom built amplitude regulator to generate the sound and an IBM 6120 to store parameter input and to score the music. The computer would read and store the musicians input; keyboard notes, filter changes, note duration and so-on and allow the user to play this back and edit in real-time. By the 1980’s such large hybrid analogue-digital performance systems like PIPER and Max Mathew’s GROOVE were obsolete due to the advent of affordable, microcomputers and analogue/digital sequencer technology. 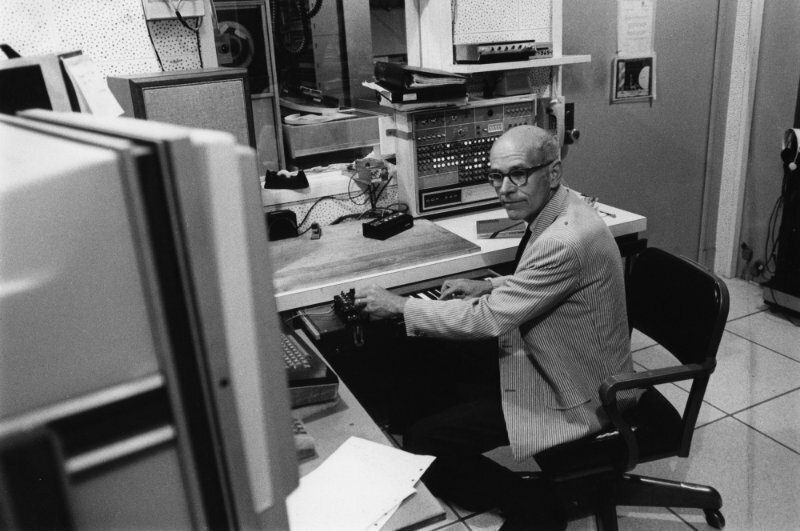 Max Mathews was a pioneering, central figure in computer music. After studying engineering at California Institute of Technology and the Massachusetts Institute of Technology in 1954 Mathews went on to develop ‘Music 1’ at Bell Labs; the first of the ‘Music’ family of computer audio programmes and the first widely used program for audio synthesis and composition. Mathews spent the rest of his career developing the ‘Music N’ series of programs and became a key figure in digital audio, synthesis, interaction and performance. 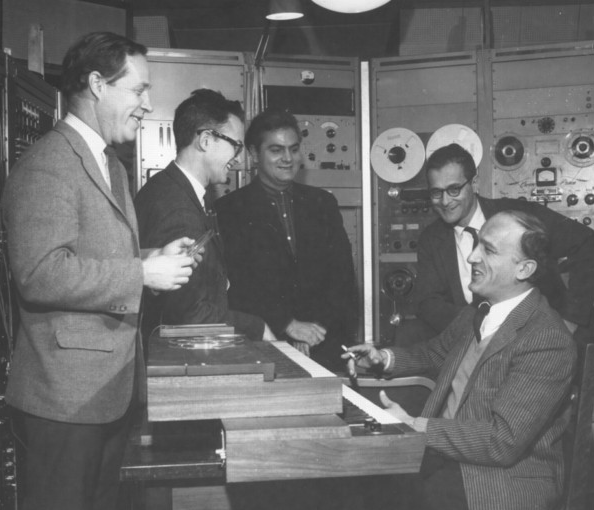 ‘Music N’ was the first time a computer had been used to investigate audio synthesis ( Computers had been used to generate sound and music with the CSIR M1 and Ferranti Mk1 as early as 1951, but more as a by-product of machine testing rather than for specific musical objectives) and set the blueprint for computer audio synthesis that remains in use to this day in programmes like CSound, MaxMSP and SuperCollider and graphical modular programmes like Reaktor. 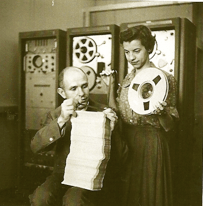 “In fact, we are the only ones in the world at the time who had the right kind of a digital-to-analog converter hooked up to a digital tape transport that would play a computer tape. So we had a monopoly, if you will, on this process“. In 1957 Mathews and his colleague Newman Guttman created a synthesised 17 second piece using Music I, titled ‘The Silver Scale’ ( often credited as being the first proper piece of computer generated music) and a one minute piece later in the same year called ‘Pitch Variations’ both of which were released on an anthology called ‘Music From Mathematics’ edited by Bell Labs in 1962. Was an updated more versatile and functional version of Music I . Music II still used assembler but for the transistor (rather than valve) based, much faster IBM 7094 series. Music II had four-voice polyphony and a was capable of generating sixteen wave shapes via the introduction of a wavetable oscillator. Max Mathews 2011 interview with Geeta Dayal, Frieze. The introduction of Unit Generators (UG) in MUSIC III was an evolutionary leap in music computing proved by the fact that almost all current programmes use the UG concept in some form or other. A Unit generator is essentially a pre-built discreet function within the program; oscillators, filters, envelope shapers and so-on, allowing the composer to flexibly connect multiple UGs together to generate a specific sound. A separate ‘score’ stage was added where sounds could be arranged in a musical chronological fashion. Each event was assigned to an instrument, and consisted of a series of values for the unit generators’ various parameters (frequency, amplitude, duration, cutoff frequency, etc). 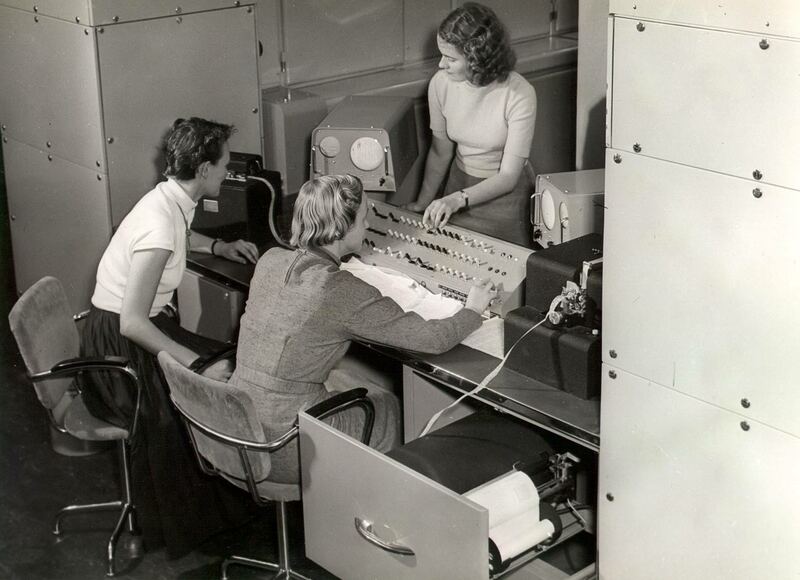 Each unit generator and each note event was entered onto a separate punch-card, which while still complex and archaic by today’s standards, was the first time a computer program used a paradigm familiar to composers. 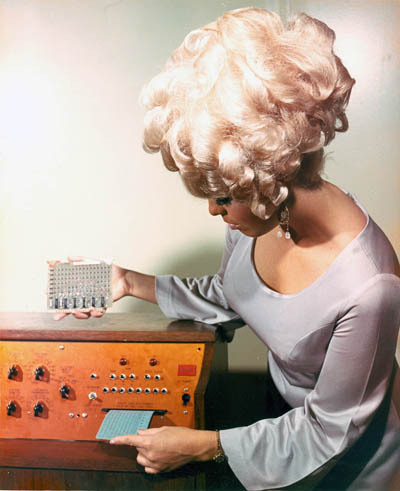 MUSIC IV was the result of the collaboration between Max Mathews and Joan Miller completed in 1963 and was a more complete version of the MUSIC III system using a modified macro enabled version of the assembler language. 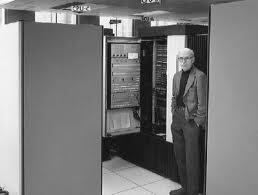 These programming changes meant that MUSIC IV would only run on the Bell Labs IBM 7094. Due to the lack of portability of the MUSIC IV system other versions were created independently of Mathews and the Bell labs team, namely MUSIC IVB at Princeton and MUSIC IVBF at the Argonne Labs. These versions were built using FORTRAN rather than assembler language. MUSIC V was probably the most popular of the MUSIC N series from Bell Labs. 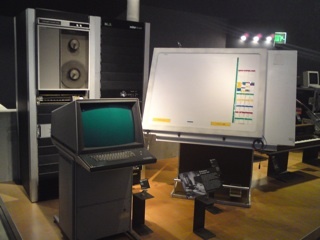 Similar to MUSIC IVB/F versions, Mathews abandoned assembler and built MUSIC V in the FORTRAN language specifically for the IBM 360 series computers. 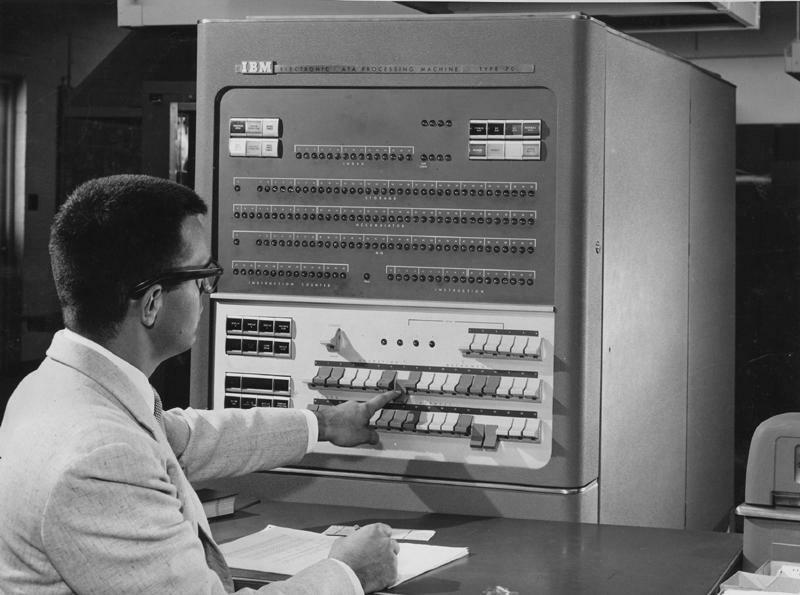 This meant that the programme was faster, more stable and could run on any IBM 360 machines outside of Bell Laboratories. 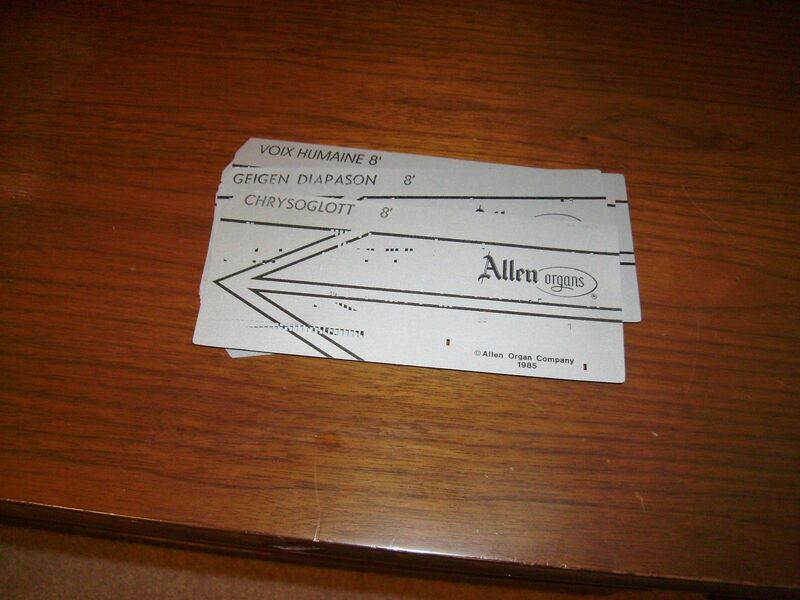 The data entry procedure was simplified, both in Orchestra and in Score section. 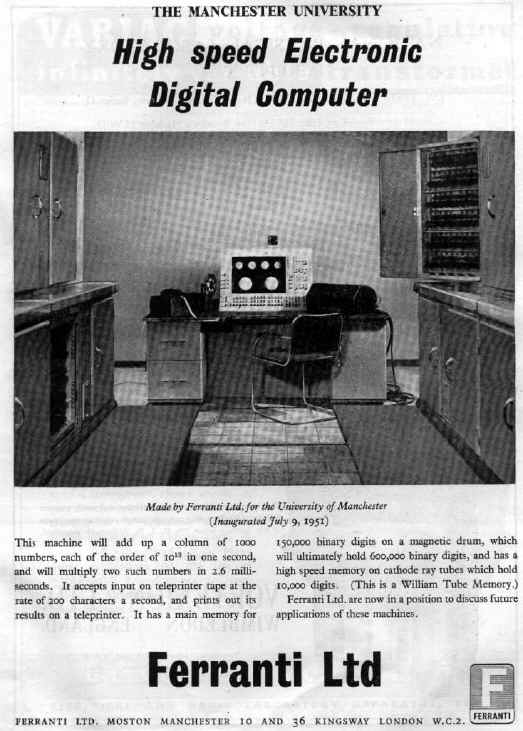 One of the most interesting news features was the definition of new modules that allow you to import analogue sounds into Music V. Mathews persuaded Bell Labs not to copyright the software meaning that MUSIC V was probably one of the first open-source programmes, ensuring it’s adoption and longevity leading directly to today’s CSound. MUSIC V marked the end of Mathews involvement in MUSIC N series but established it as the parent for all future music programmes. Because of his experience with the real-time limitations of computer music, Mathews became interested in developing ideas for performance based computer music such as the GROOVE system (with Richard Moore in 1970) system in and The ‘Radio Baton’ (with Tom Oberheim in 1985 ). Curtis Roads, Interview with Max Mathews, Computer Music Journal, Vol. 4, 1980. 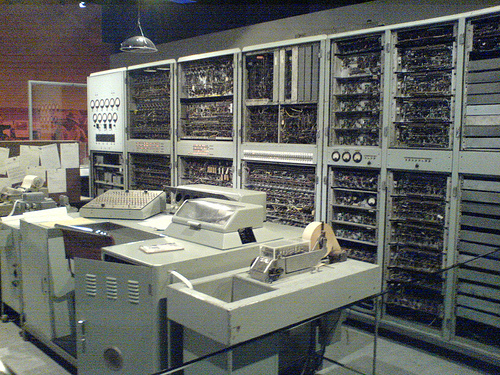 The ‘Ferranti Mk1 ‘ Computer. Freddie Williams & Tom Kilburn, United Kingdom, 1951. The oldest existing recording of a computer music programme. The Ferranti Mk1in 1951. Recorded live to acetate disk with a small audience of technicians. 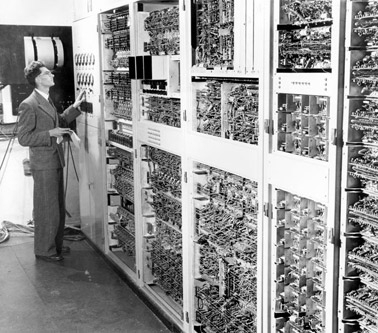 The Ferranti Mk1 was the world’s first commercially available general-purpose computer; a commercial development of the Manchester Mk1 at Manchester university in 1951. Included in the Ferranti Mark 1’s instruction set was a ‘hoot’ command, which enabled the machine to give auditory feedback to its operators. 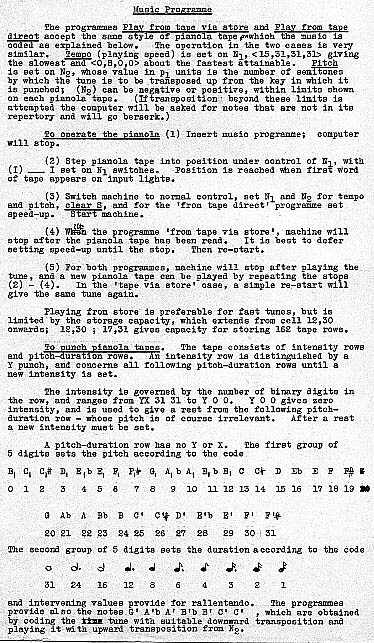 Looping and timing of the ‘hoot’ commands allowed the user to output pitched musical notes; a feature that enabled the Mk1 to have produced the oldest existing recording of computer music ( The earliest reported but un-recorded computer music piece was created earlier in the same year by the CSIR Mk1 in Sydney Australia). 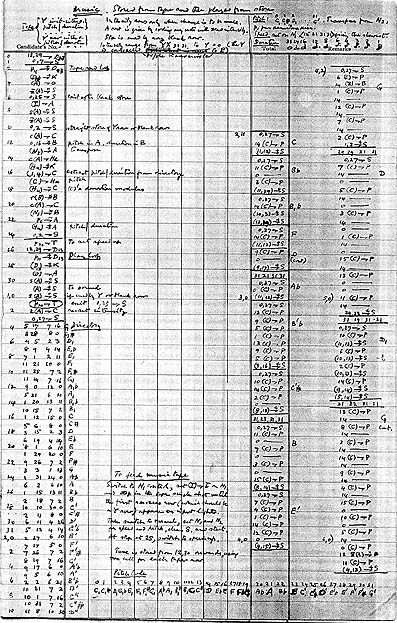 The recording was made by the BBC towards the end of 1951 programmed by Christopher Strachey, a maths teacher at Harrow and a friend of Alan Turing. 2 Comments on The ‘Ferranti Mk1 ‘ Computer. Freddie Williams & Tom Kilburn, United Kingdom, 1951. CSIRAC was an early digital computer designed by the British engineer Trevor Pearcey as part of a research project at CSIRO ( Sydney-based Radiophysics Laboratory of the Council for Scientific and Industrial Research) in the early 1950’s. CSIRAC was intended as a prototype for a much larger machine use and therefore included a number of innovative ‘experimental’ features such as video and audio feedback designed to allow the operator to test and monitor the machine while it was running. As well as several optical screens, CSIR Mk1 had a built-in Rola 5C speaker mounted on the console frame. The speaker was an output device used to alert the programmer that a particular event had been reached in the program; commonly used for warnings, often to signify the end of the program and sometimes as a debugging aid. The output to the speaker was basic raw data from the computer’s bus and consisted of an audible click. To create a more musical tone, multiple clicks were combined using a short loop of instructions; the timing of the loop giving a change in frequency and therefore an audible change in pitch. 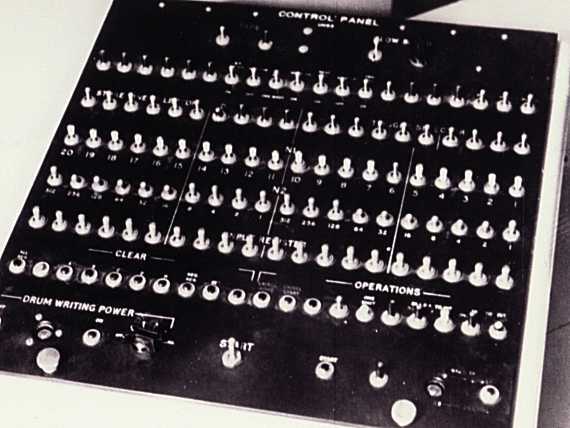 The CSIRAC console switch panel with multiple rows of 20 switches used to set bits in various registers. CSIRAC plays In Cellar Cool with a simulation of CSIRAC’s room noises. CSIRAC – the University’s giant electronic brain – has LEARNED TO SING! 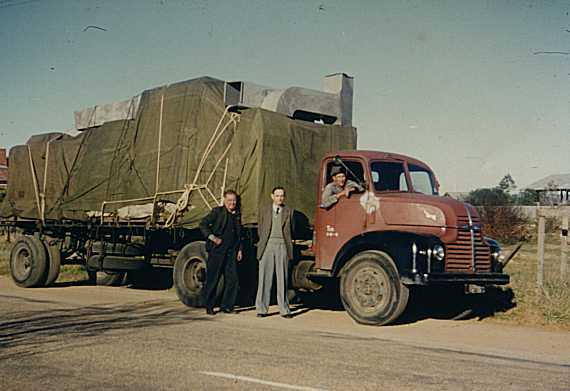 The CSIR Mk1 was dismantled in 1955 and moved to The University of Melbourne, where it was renamed CSIRAC. Professor of Mathematics, Thomas Cherry, had a great interest in programming and music and he created music with CSIRAC. During it’s time in Melbourne the practice of music programming on the CSIRAC was refined allowing the input of music notation. The program tapes for a couple of test scales still exist, along with the popular melodies ‘So early in the Morning’ and ‘In Cellar Cool’.